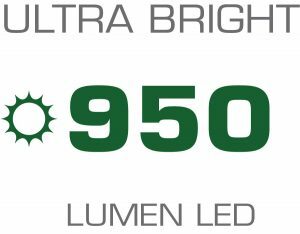 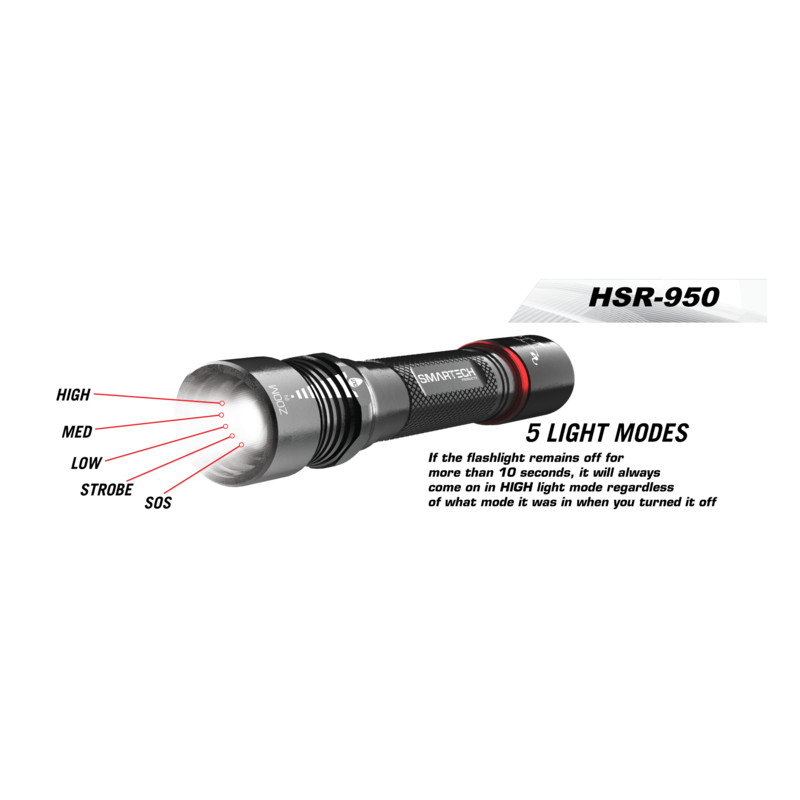 Maximum output of 950 lumen. 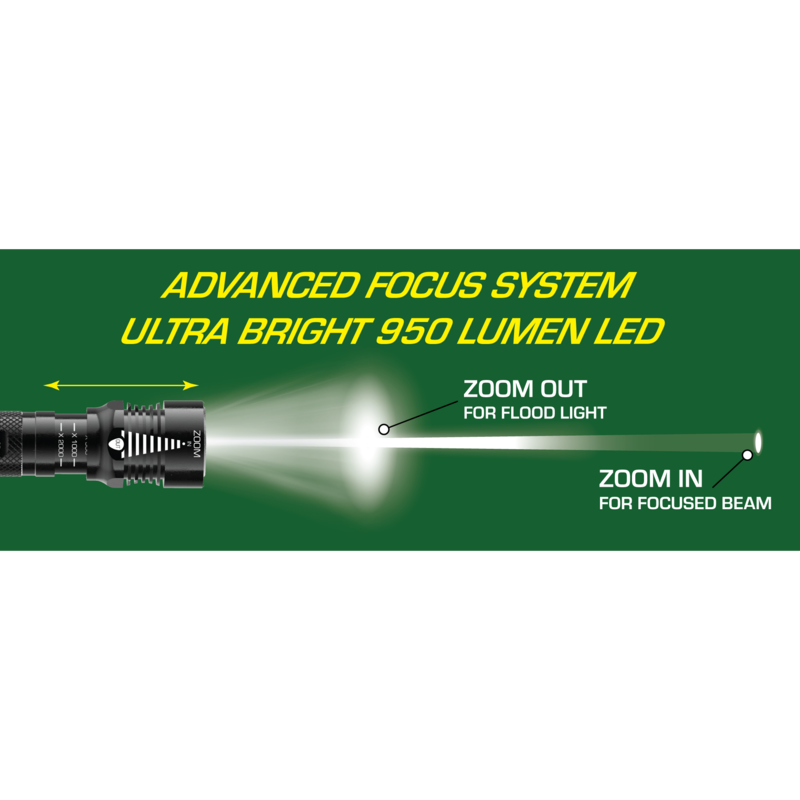 Provides a beam distance up to 300 meters. 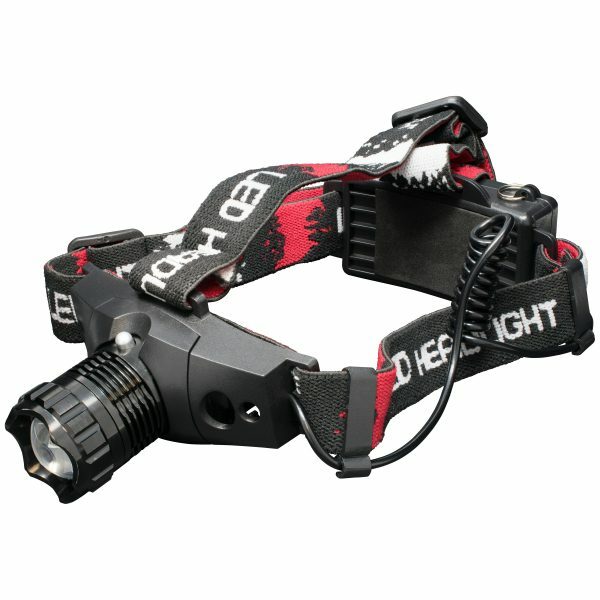 Maximum run time of 16 hours on low. 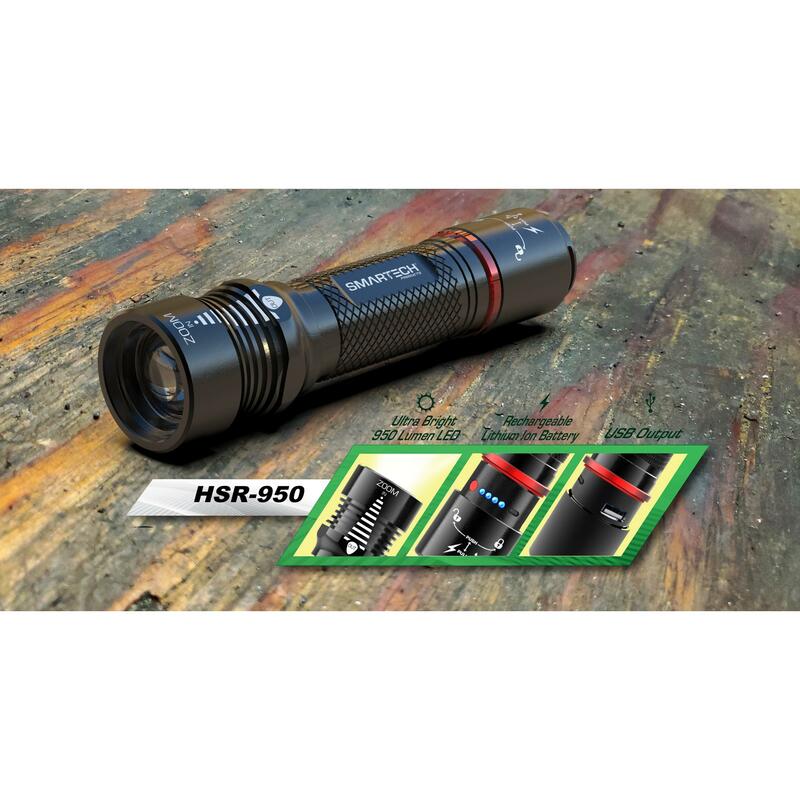 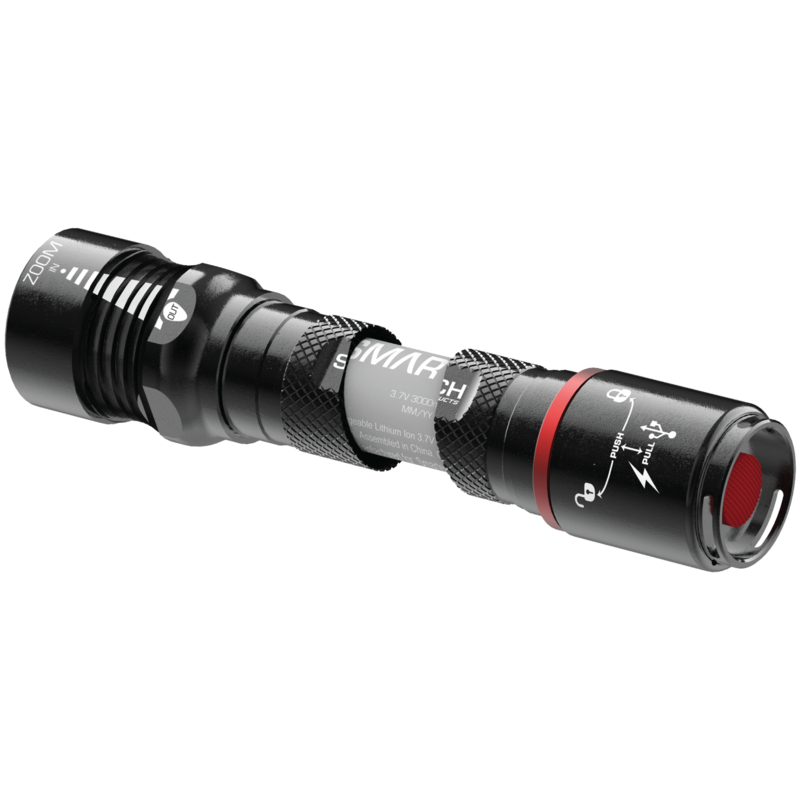 The HSR Series is our mid-tier line of powerful, super bright flashlights designed for maximum lumen output and durable, weatherproof usability. 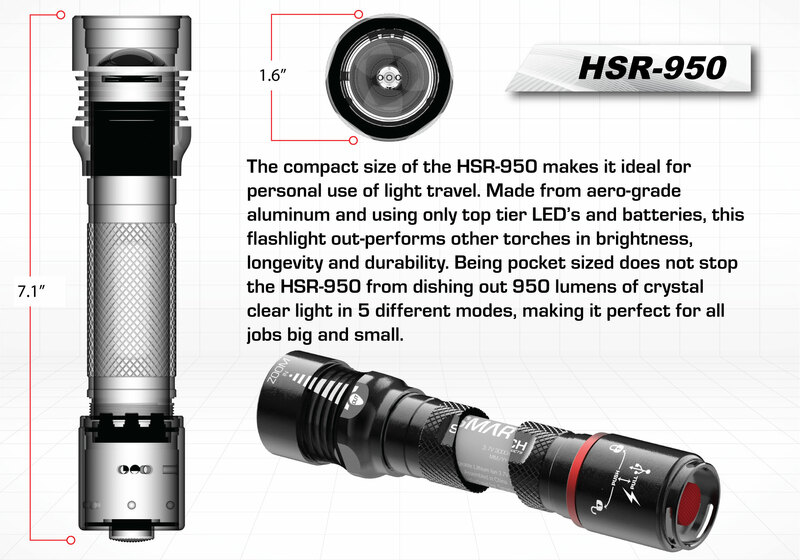 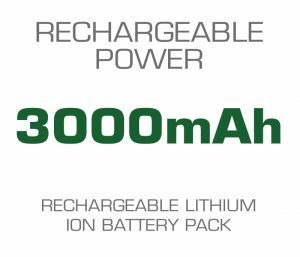 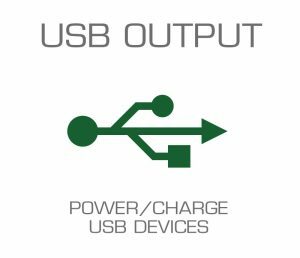 The HSR-950 is the little brother to the robust RR-2000; made from the same high grade aluminum but rocking a slightly less powerful LED and battery pack. 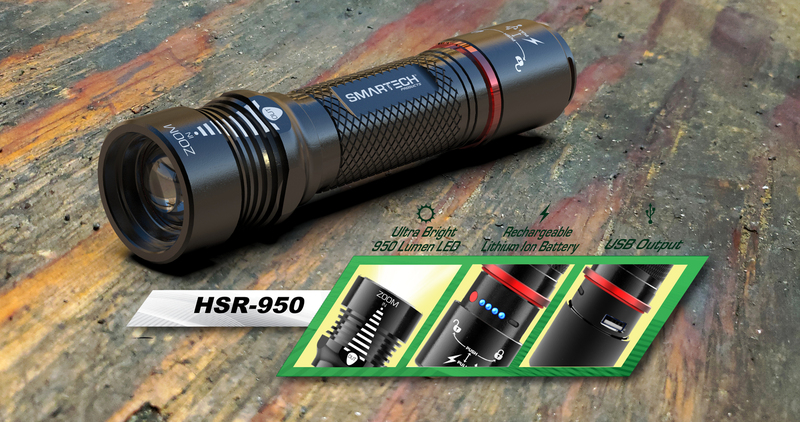 Don’t let this little guy fool you though, the HSR-950 still boasts a true 950 lumen output and can hold its own in any situation, making it ideal for use on the go, in the house, outdoors or for tactical situations. 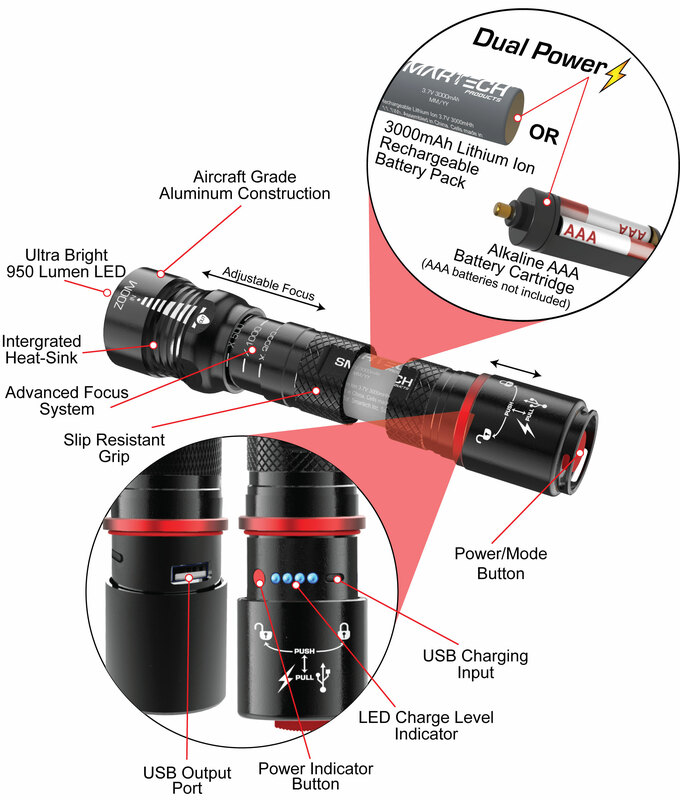 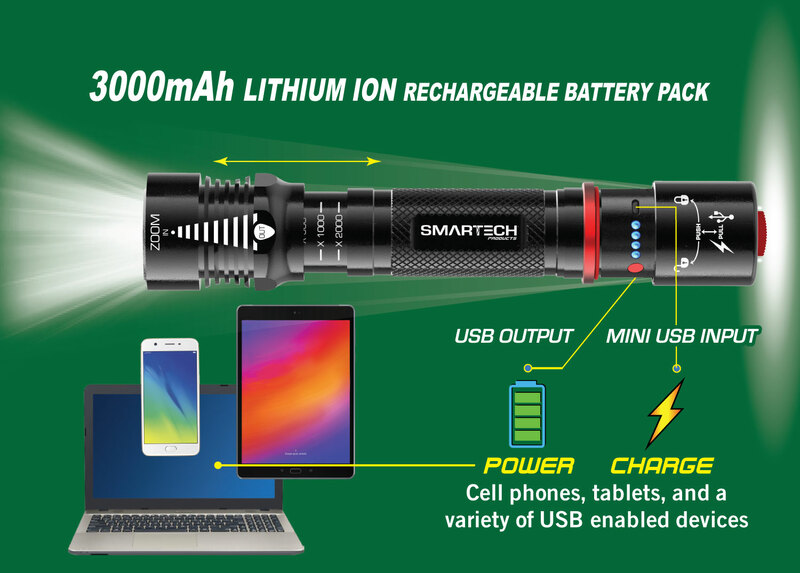 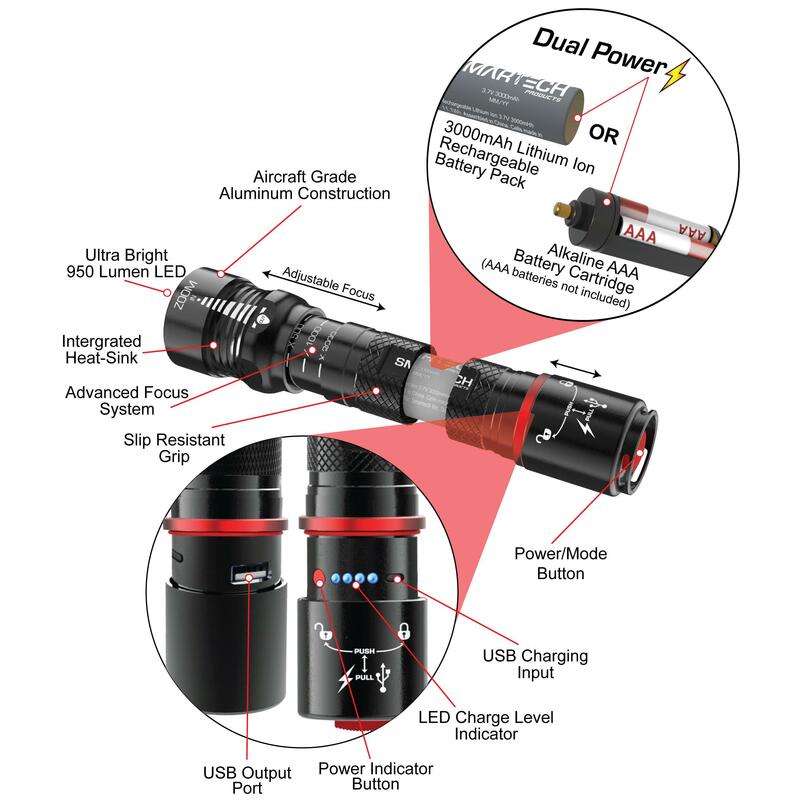 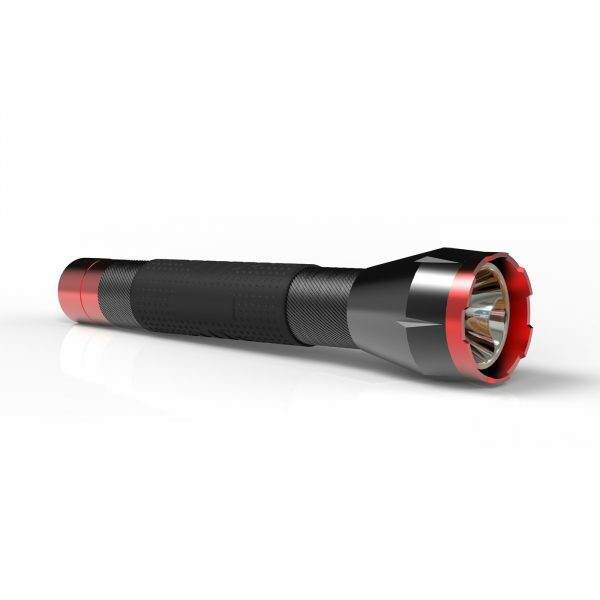 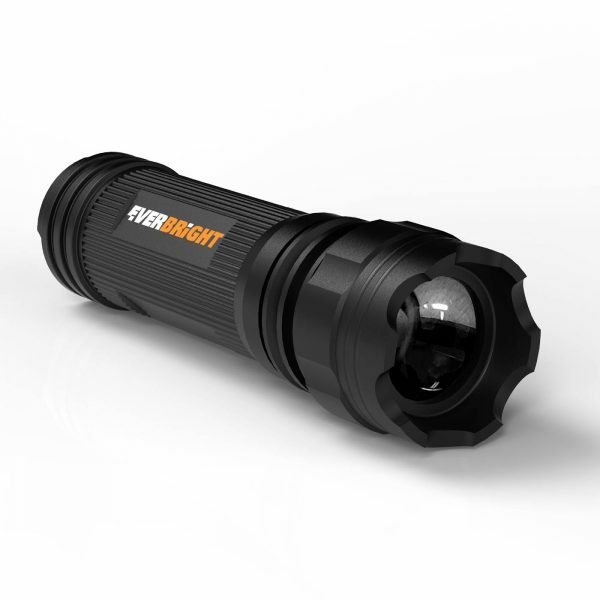 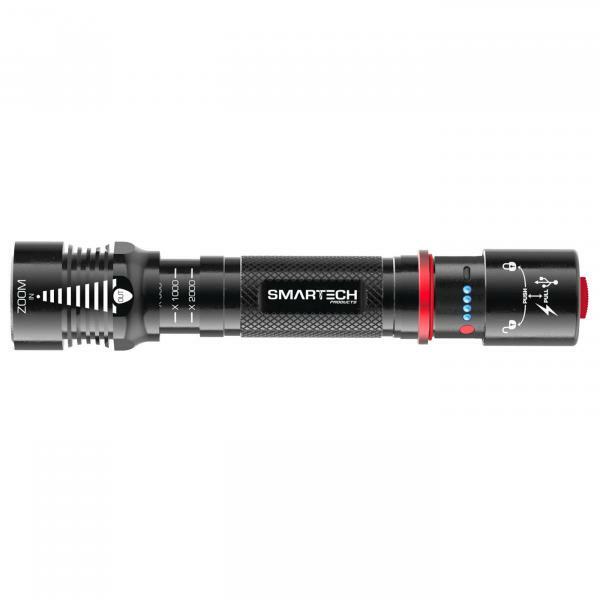 This powerful flashlight has excellent heat expulsion characteristics due to well-placed heat sinks around the LED.